Water filtration systems by Sagan™ are tested to establish the water filter's "End of Life"and certified by independent water laboratories to exceed EPA standards for the removal of: 99.9999% of Bacteria, 99.99% of Virus, 99.9% Cryptosporidium and unwanted contaminants from your water. A new level in water purification! All SAGAN filters remove VIRUS, BACTERIA & CRYPTOSPORIDIUM > No expiry date on the filter. > No Chemicals.........no Iodine / Chlorine / etc. > No moving parts / nothing to break.....unlike ceramic filters which will break when dropped. No levers nor handles to fail.. > No Wait....................no minimum contact time (unlike UV pens, etc). Just fill and drink. > No doubt.................Sagan filters are the only filters in the World tested to 'end of life'. “End of Life” testing involves testing the filter over and over again by spiking it repeatedly with all the 'nasties' (Virus, Bacteria, Giardia, etc) until it starts to fail. It is a vital part of proving the water filter you are using does what it claims it can do. Many filters will work the first (and usually only) time they are spiked with all the nasties and tested. But do they still work when spiked repeatedly up to 100, 300, 500, 1000 or even 2000 liters? Have they even tried to test them again? Go ask your existing water filter supplier to show you their conclusive “end of life” testing results. 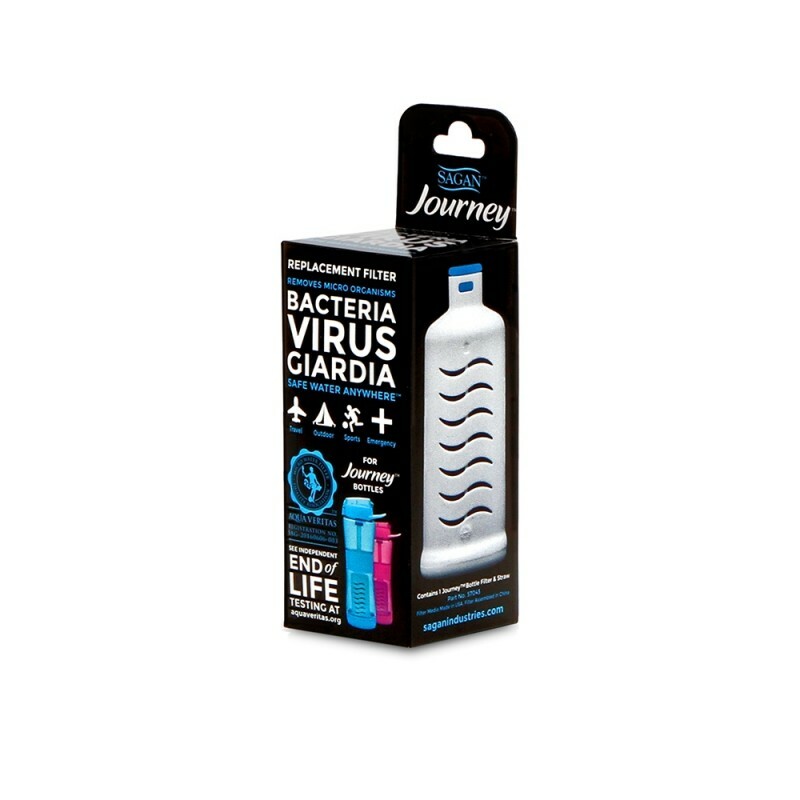 The Sagan 'Journey' Filter has been independently 'end of life' certified to 946 ltrs (250 Gallons) of Virus, Bacteria & Cryptosporidium. Independent Lab results are available for your review. 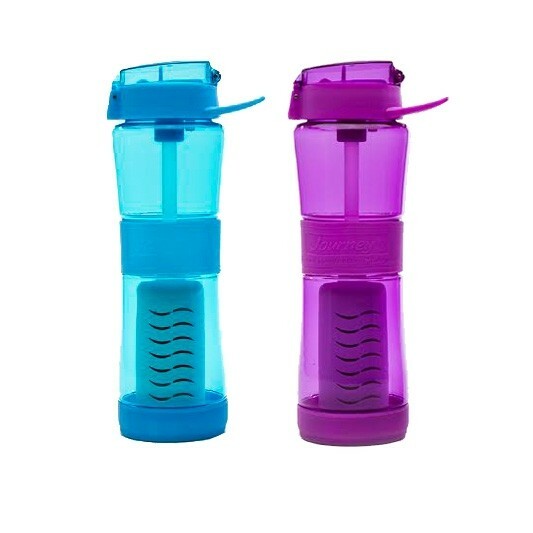 Make sure the water filters and filtered water bottles you are using can stand by what they claim! Sagan™ - simply the best, most tested and trusted water purifiers you can buy for outdoor adventures, camping, hiking, backpacking, kayaking, survival etc. Never buy water again!